are well-addressed by optimisation-based models. The success of optimisation enabled solutions depends on many factors such as which modelling tools are used, integration with data sets and the selection of the most efficient solution algorithms available for the problem. link them to data sources and solve the models using state-of-the-art commercial solvers. have acquired a good knowledge of how to embed optimisation models into applications. This workshop is modular and presented in three parts (two days x 2, plus one day). This workshop is presented in an interactive format and is split into theory and practical sessions. The participants have the opportunity to familiarise themselves with relevant software and learn some practical applications. In the afternoon of each day participants spend some time discussing their modelling and solving requirements with the expert presenters. This reinforces the theory learned and provides an excellent grounding which makes the training truly valuable and practical. Participants are encouraged to engage in general discussion and further examples of applying the lessons learned. Our instructors are all acknowledge subject experts and have many years' experience in this field. They will take you through all the steps of an optimisation project using powerful optimisation tools such as the modelling language AMPL, its extension Stochastic AMPL (SAMPL), and the modelling system AMPLDev, together with the solvers CPLEX and FortMP. Pre-requisites: This is an advanced course designed to allow individuals with various levels of optimisation knowledge to attend. Some previous exposure to optimisation theory and methods is helpful but not essential. Dr. Robert Fourer Professor Fourer is currently President of AMPL Optimization, Inc and Professor Emeritus of Industrial Engineering and Management Sciences at Northwestern University, having been on the faculty since 1979. He was seconded to Bell Labs, where, in collaboration with colleagues, he developed the widely used AMPL modeling language for optimization. He is the author of numerous articles on optimization modeling and algorithms, and has served as Area Editor of three leading journals in this area. His work has been recognized by the Beale-Orchard-Hays Prize for computational optimization and by election as a Fellow of INFORMS. Robert Fourer was also awarded Guggenheim Fellowship for Natural Sciences in 2002. He gained his PhD from Stanford University. 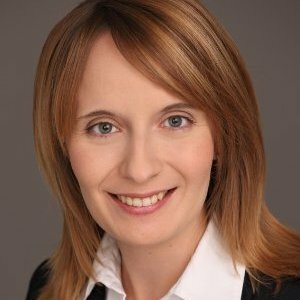 Dr. Katharina Schwaiger, PhD, is a member of the Risk & Quantitative Analysis group. She is responsible for the risk management and quantitative analysis of fundamental equity portfolios. Prior to joining BlackRock in 2013, she has worked as a financial engineer in the City of London, as a quantitative researcher at a London-based hedge fund and as a lecturer in operational research at the London School of Economics. She earned a BSc degree in financial mathematics in 2005, and a PhD degree in mathematics/operational research from Brunel University in 2009. She is co-editor with Professor Gautam Mitra of Asset and Liability Management Handbook. Dr. Christina Erlwein-Sayer is a visiting researcher working on the topic of financial analytics in general and models and tools for portfolio construction and Asset and Liability Management in particular. Dr Erlwein-Sayer is sponsored under a joint project between OptiRisk Systems and its partner Fraunhofer ITWM in Kaiserslautern, Germany. She completed her PhD in Mathematics at Brunel University, London in 2008. Prior to the current assignment Dr Erlwein-Sayer had presented workshops on behalf of OptiRisk at the IIM Calcutta Financial Research and Trading Laboratory in Kolkata, and also in Mumbai. Dr ErlweinSayer was also the lead member of the training partnership between OptiRisk Systems and Fraunhofer ITWM and presented at many of the workshops; notable of these was the training delivered to the World Bank in Washington. Dr Erlwein-Sayer is fluent in German (her native language) and in English. Professor Gautam Mitra is an internationally renowned research scientist in the field of Operational Research in general and computational optimisation and modelling in particular. He has developed a world class research group in his area of specialisation with researchers from Europe, UK & USA. He has published five books and over a hundred and fifty research articles. He is an alumni of UCL and currently is a Visiting Professor of UCL. In 2004 he was awarded the title of 'Distinguished Professor' by Brunel University in recognition of his contributions in the domain of computational optimisation, risk analytics and modelling. 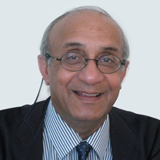 Professor Mitra is a Director of OptiRisk Systems UK and OptiRisk India. Dr. Christian Valente has a bachelor's degree, first class honours in Computer Science and subsequently an MSc in Artificial Intelligence from Politecnico di Milano, Italy (2004). He was a sponsored industry based PhD research student in Mathematical Sciences, at Brunel University. He joined OptiRisk Systems in 2005; the company, as the managing partner of the WEBOPT project (CRAFT programme of EU), sponsored his PhD research. 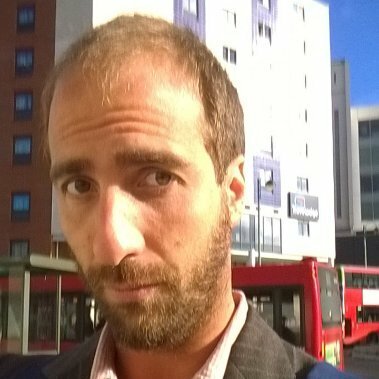 Dr Valente's PhD research was on the topics of Stochastic Programming and parallel computing. Dr Valente leads the design team for AMPL IDE and Stochastic AMPL (SAMPL). These flagship products have been developed under contract from AMPL Optimization Inc. who are also a Partner of OptiRisk Systems. Dr Valente has designed and developed many optimisation based decision support systems and substantial industrial risk protection systems and acts as the main technological advisor for external projects. Dr Valente is fluent in Italian (his native language) and English and is also proficient in German. Ansuman Swain has more than 4.5 years of experience working with one of the largest IT companies in India. His assignment involved software development for a leading US multinational insurance company. In 2016, Ansuman joined OptiRisk Systems as a Software Developer for our AML product range. He is part of the design and technical support team for AMPL IDE and Stochastic AMPL. He is currently sponsored by OptiRisk as an industrial research student in the Department of Mathematics, Brunel University.